Kia’s best-selling model – The Sportage SUV – Refreshed, and refreshing to own. David Miles (Miles Better News Agency) puts it through its paces. 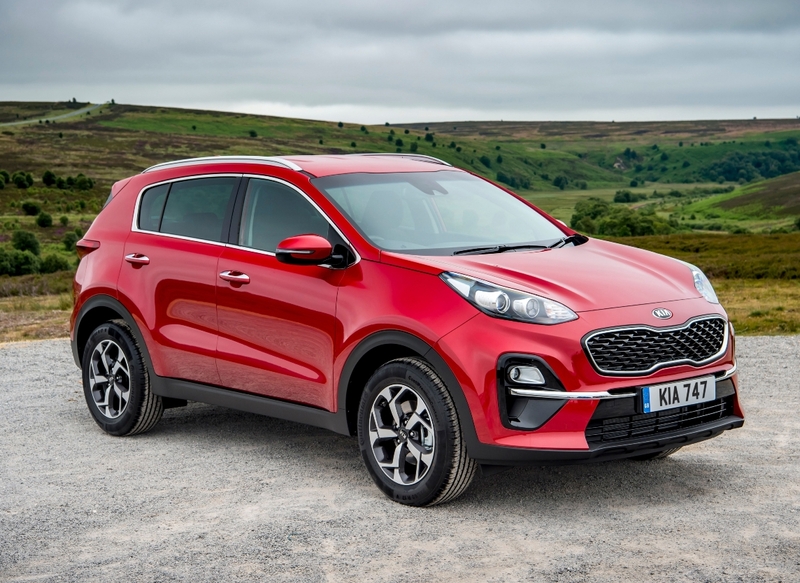 The Sportage is Kia’s best-selling model in Europe, and with over five million global sales during its 25 years of production through four generations. In the UK 40,000 were sold last year and so far this year nearly 30,000 have found homes here, making it Britain’s 10th best selling model range overall. The Sportage accounts 40% of the company’s UK sales. In its medium sized SUV sales sector in the UK it is only outsold by the Nissan Qashqai and the Ford Kuga. There are numerous other competitors in this popular sector, including the Hyundai Tucson, SEAT Ateca, Mazda CX-5, Peugeot 3008, Skoda Karoq, VW Tiguan, Mitsubishi ASX, Suzuki Vitara, MG GS, Vauxhall Grandland X, Audi Q3 and BMW X1 models. 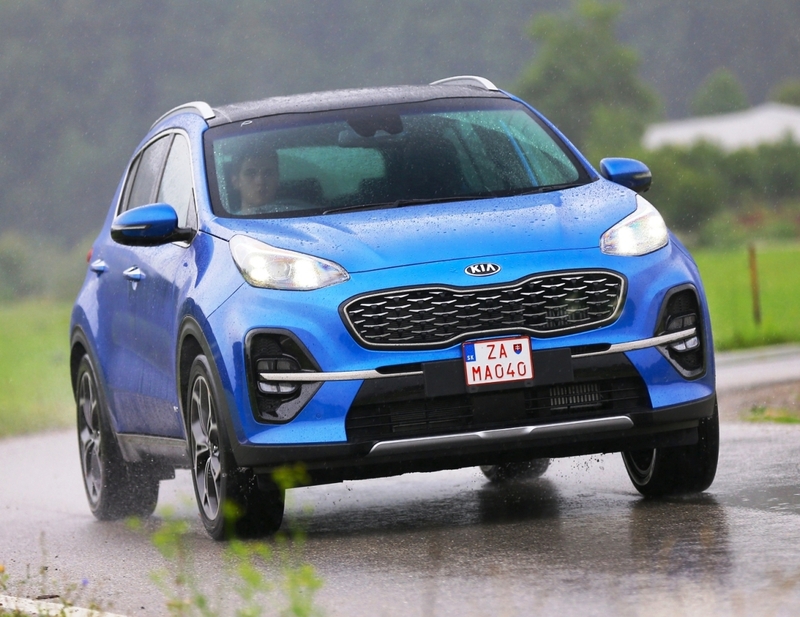 Briefly the latest 2019 model year Sportage SUVs have refreshed styling, upgraded infotainment and active driving support aids, revised engines for the new WLTP compliancy, a mild hybrid 48-volt system for the 2.0 litre CRDi diesel engine, a new 1.6 litre CRDi diesel unit replaces the 1.7 litre unit, all petrol engines have particulate filters the same as the diesel engines, revised GT-Line and GT-Line S specs add a sportier look and Special Edition 25 versions celebrate 25 years of Sportage production. The latest 2019 model year range has 21 variants based on five engine options, three gearboxes choices and six trim levels. The new model year prices range from £20,305 to £35,140 as opposed to the £19,200 to £33,350 price range of the outgoing models. The price increase reflects higher levels of specification and technical changes needed for the new worldwide WLTP homologation process, aimed at giving more realistic mpg and CO2 figures. All are covered by Kia’s desirable and transferable between subsequent owners seven year/100,000 mile warranty. The expected best-selling model is the ‘2’ 1.6 GDi 2WD with its six speed manual gearbox and priced at £22,405, and that was the version I tried. 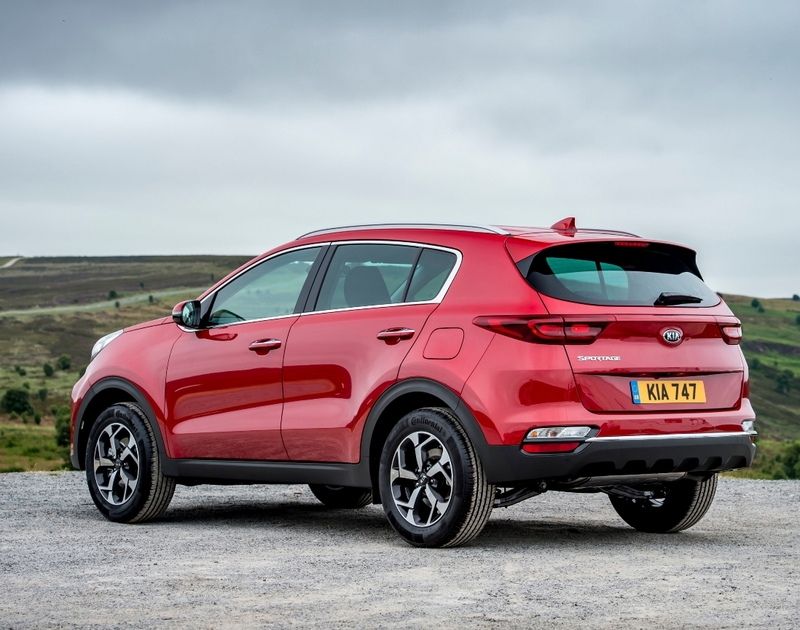 Built at Kia’s Slovakian factory the 2019 Sportage models are in reality a mid-life refresh as this range is only half way through its life cycle, but the improvements are significant. There is a redesigned front bumper with new fog light housings, new gloss black or chrome inserts leading from the fog lights into the lower grille and there is a more refined design for the brand’s ‘tiger-nose’ grille. There are also new full LED headlights with four point LED daytime running lights. At the rear there are revised C-shaped LED lights with the reversing light integrated into the rear bumper. The side profile retains its high rising waistline and long wheelbase layout, and there are five new paint colours. The interior layout is retained much as before, with a series of minor upgrades which include a new steering wheel design and revised driver instrument cluster with new ventilation and air conditioning controls at the centre of the dashboard below the touchscreen. Thankfully no important driving functions need to be operated via the touchscreen; everything is well laid out and easy to use. The fit and finish remains one of the major features of the Sportage, it just looks good and the ‘feel’ is excellent with perceived high quality trim finishes. Perhaps the only ‘old-school’ function is the 7-inch touchscreen (8-inch on higher spec models) but it does the job well enough and is logical to use. Even the lowest spec model has a comprehensive equipment list and that gradually increases right through the extensive range. Concentrating on the best-selling level ‘2’ model I tried, the spec includes 17-inch alloy wheels, 7.0-inch touchscreen with sat-nav and Kia Connected Services with TomTom, privacy glass, black premium quality cloth upholstery, electrically folding door mirrors, reversing sensors, auto light and wipers, dual auto air-con, heated front seats, Lane Keep Assist, High Beam Assist, Driver Attention Warning and Speed Limit Information. Carried up from the base grade ‘1’ level are items such as 60/40 split folding rear seat backs, DAB radio with Bluetooth, steering wheel control buttons, electric windows front and rear, remote central locking, a very useful reversing camera, Apple CarPlay and Android Auto smartphone connectivity, Trailer Assist Stability, Hill Start Control, Downhill Brake Control, Cruise Control and Emergency Stop Warning. In all honesty there is no need to look further up the specification list; the grade ‘2’ models are amply equipped with virtually everything that is realistically and sensibly needed. The only omissions that might be missed by users with extra safety in mind are Forward Collision Avoidance Assist and Blind Spot Collision Warning, which come as standard above grade ‘2’. Another major – for me, was the impressively compliant and comfortable ride this spec level provided, due in part to the 17-inch wheels shod with deep walled tyres which easily absorbed all but the worst bumps and thumps created by our poor UK road surfaces. The accurate body control and excellent ride quality is helped by the Sportage having a fully independent suspension system with Macpherson struts at the front and most importantly a multi-link system at the rear. Similar SUVs with a simpler and cheaper rear beam axle just do not provide such a compliant and well-balanced ride. So far so good but a potential downside is the 1.6 litre four-cylinder GDi direct injection 130 hp petrol engine. This version is normally aspirated so it doesn’t have a turbocharger to give it that desirable response for overtaking slower vehicles. It is responsive enough driving around town but on the open road and going up steep hills it is required to be driven in a harder way to keep up momentum. Lose momentum and it meant changing down several gears to get the engine back into its optimum area of torque and that is only 161 Nm (119 lb.ft) at a high 4,850rpm. Top speed is 113mph and it cruised happily at 70 mph but going up steep hills dulls its capability in sixth gear so a change-down to fifth or even fourth gears was needed, depending on the load being carried. The zero to 60mph acceleration time of 11.1 seconds reflects on the fact that it misses having a turbocharger. The WLTP Combined Cycle fuel economy figure is 39.8 mpg and during my week of driving it actually returned better than that at 43.1mpg which was surprising but welcome. The CO2 figure however is now a high 162 g/km which means First Year VED road tax has gone up to £515 before the £140 Standard rate is applied and company car Benefit-in-Kind tax has gone up to 33%. Before the WLTP new test procedure came into force in September this year, the same 1.6 GDi 130 hp model with grade ‘2’ specification had a Combined Cycle figure of 44.8 mpg with CO2 emissions of 147 g/km so VED First Year road tax was £205 and BiK tax of 30%. The fitting of a particulate filter plus the more realistic WLTP testing procedure has certainly changed the fuel economy and CO2 figures for the worst. 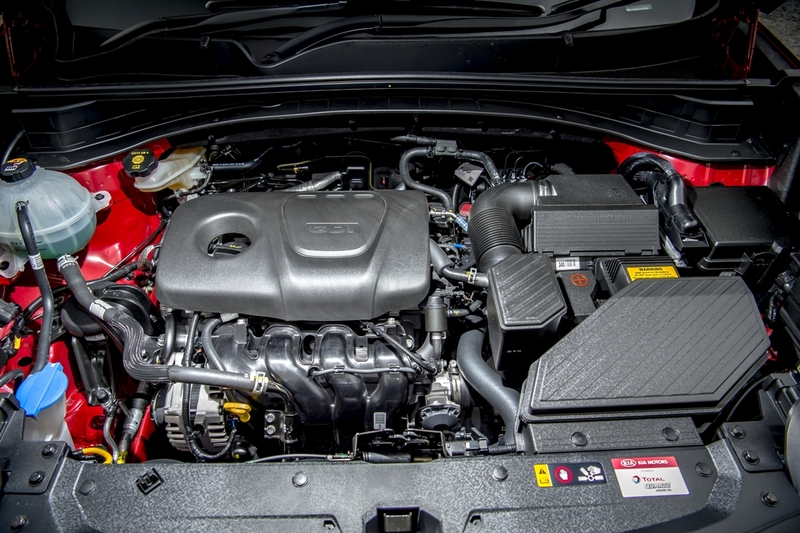 The higher taxes for the latest Kia Sportage 1.6 GDi could marginally dent its UK sales but everything other than the performance of the 1.6 GDi non-turbo engine was excellent. It is easy to see why the model has been so popular, whether it is bought new or used. It’s still a great overall mid-sized SUV package – just a bit more financially taxing. For: Proven desirability, high specification for the price, versatile and roomy, good quality interior, very comfortable ride, good real-life fuel economy, class-leading warranty. Against: Lack-lustre non-turbo petrol engine performance, poorer WLTP fuel economy and CO2 figures over the previous model with the same capacity and power engine results in higher tax costs. 2019 Kia Sportage 1.6 GDi ‘2’ manual. Engine/transmission: 1.6 litre, four cylinder, non-turbo direct injection petrol, 130 hp, 161 Nm (119 lb.ft) of torque at 4,850 rpm, six speed manual, 2WD. Performance: 113 mph, 0–60 mph 11.1-seconds. Fuel consumption: Combined Cycle 39.8 mpg (43.1 mpg on test). Emissions and taxation: CO2 162 g/km, VED First Year tax £515 then £140 Standard rate, BiK company car tax 33%. Dimensions/capacities: L 4,485 mm (14.71 ft), W 1,855 mm (6.09 ft), H 1,645 mm (5.40 ft), wheelbase 2,670 mm (8.76 ft), boot/load space 491 to 1,480 litres (17.34 to 52.27 cu.ft), braked towing weight 1,400 kg (3,086 lb), five doors/five seats.